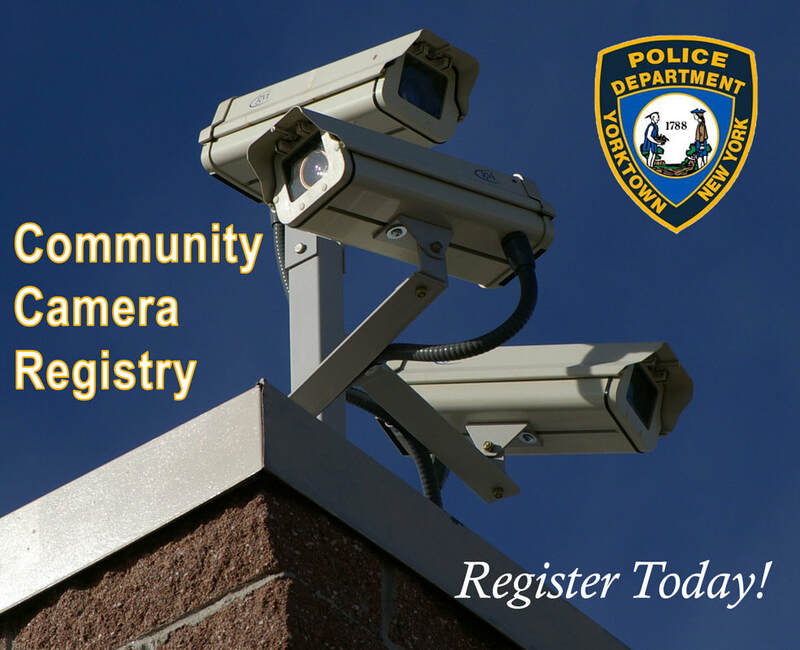 The Yorktown Police Department Community Camera Registry Program is an initiative to bolster our community – police partnership. What better way to solve crimes that have occurred or to possibly deter crimes from occurring (even better)! First, the home / business owner would register their video surveillance with us here at YPD. All registered camera locations are stored in a secure Yorktown Police Department database. There is NO COST to register. Second, a Yorktown Police Officer will contact you via e-mail to verify your registration information. Third, the Yorktown Police Department only contacts you if there is a criminal incident in the area of your surveillance cameras. Police personnel, if necessary, may REQUEST to view your camera footage in order to assist in a police investigation. In most cases, YPD will e-mail an alert requesting you, the camera owner, to review your camera system and advise us if you have any useful camera footage. Lastly, all information provided to the Yorktown Police Department regarding your camera systems will be for official use only. Any video footage collected by the Yorktown Police Department relating to criminal activity may be used in a police investigation and as evidence during any stage of a criminal proceeding. Your personal information will remain confidential and not be distributed except as required by law or court order. “Neighbors helping neighbors help the police.” This initiative may help us save valuable investigative time. Help us make Yorktown an undesirable place for criminals to commit crime and help keep your entire community safe! This is taking the Neighborhood Watch concept to a new level. Once we have an acceptable number of residents & businesses registered, the Yorktown Police Department will advertise that Yorktown is a “Community Camera Program Town.” At no time will the Yorktown Police have direct access to your surveillance systems! Want to help? Click here to sign up! Joining only takes a minute!